There is no better way to spend a lazy Sunny Sunday than take a scenic drive in the convertible and soak up the warm sun in Beautiful Victoria, BC. Here is our route and I think you’ll like it too. Cadboro Bay Village is our starting point after we grab a delicious cup of coffee at Olive Olio’s then head south and veer left onto Beach drive to Dream and Ogle at all the beautiful estates. A Short stop at Willows beach to sit on a log and people watch. 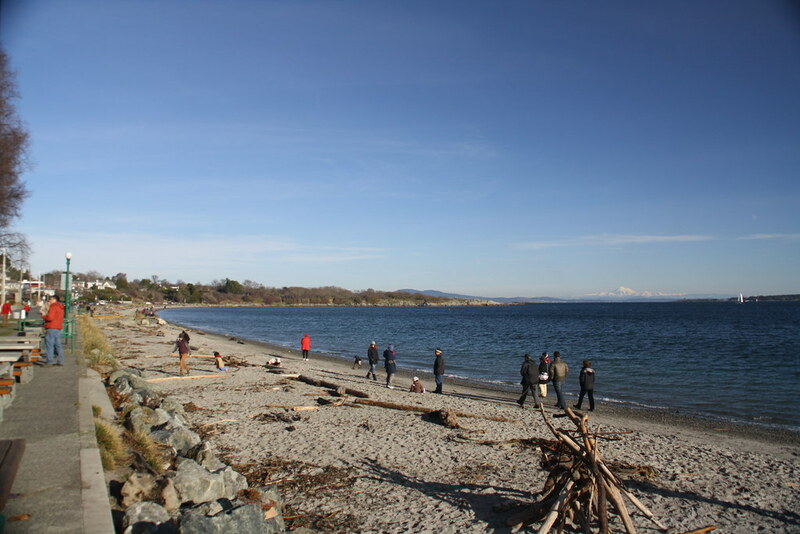 Continuing on Beach Drive – Oak Bay Marina is next, such a peaceful scene and if you are inclined to dine, try the Marina Coffee shop for something casual or make a reservations for The Marina Restaurant Sunday Brunch – it’s delicious and you can’t beat the view. Next stop The Oak Bay Beach Hotel and then you’ll pass the Royal Victoria Golf Club. 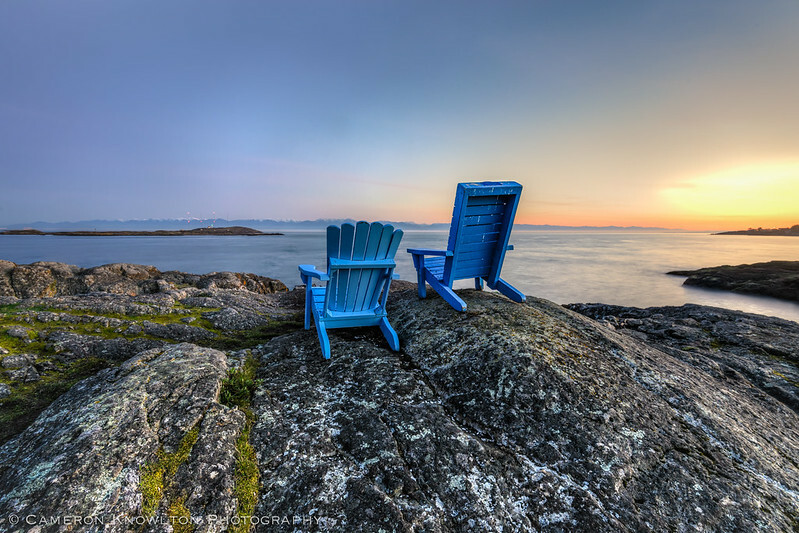 Follow the “scenic route signs” and be sure to stop at all the “Look out” points and find the two famous Adirondack chairs perched on the rocks. Beach Drive will become Crescent Road and then Dallas Road. This is a great place to park and take a stroll along Dallas road where many locals enjoy walks especially with their pooches, it’s a great open off leash area, very friendly and relaxing. The views across the water to the Olympic Mountains are magical. There are several walkways down to the ocean. At the end of Dallas road you’ll find the Ogden Point Breakwater walkway out to the lighthouse – this is a wonderful experience you must include. Our final stop is here at Fisherman’s Wharf. Here you can explore the many gem coloured float homes, feed the harbour seals, buy some fresh locally caught seafood and have a great late Lunch. With a relaxing day full of fresh air, exercise and good food, you can help but have a restful sleep to start your week.